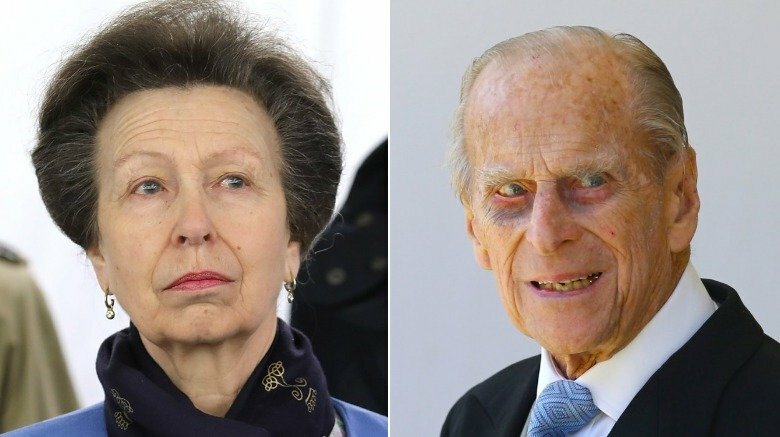 On Friday, Jan. 18, 2019, Princess Anne attended an event and, upon her arrival, was asked about her father's condition following the car accident he was in the day before, as reported by AOL. 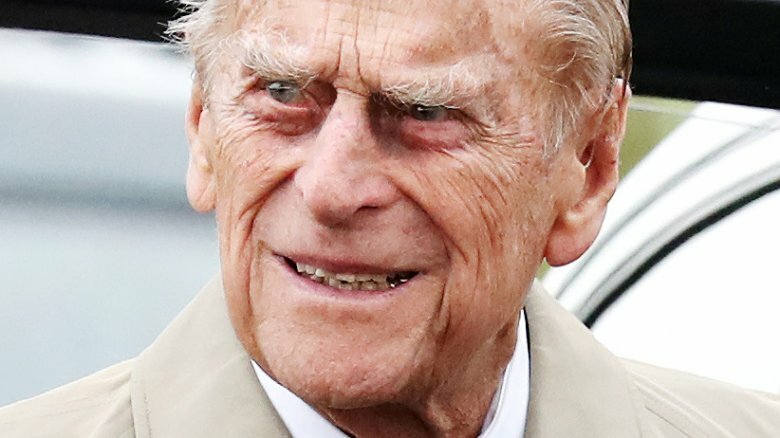 One journalist asked the royal, "How is the Duke of Edinburgh this morning?" In response, Anne replied, "I've no idea," laughingly adding, "You know where I am? Same place as you." Later, when leaving an event, another reporter wondered, "Any word on the Duke, your Highness?" Anne, in much the same vein as before, answered, "Not since I've been in there," according to Town & Country. It's likely that, if Philip had been seriously hurt, Anne would not have responded in this manner, laughing at the questions asked by the media. She may have even canceled the day's event appearances to spend time with her dad. While the Daily Mail's royal correspondent Rebecca English reported that Anne did cancel one appearance that morning, it reportedly had nothing to do with Philip and everything to do with the weather. "She did cancel an engagement today, but only due to fog," English tweeted out. "Family members are going about their day to day duties and no-one is rushing to see Philip, which suggests they aren't overly worried." We doubt that Anne would have been forthright about her father's health anyway, had he actually been seriously injured, as a statement about Philip's well-being would have come from Kensington Palace, not his children. Prince Philip was in a car accident near the Sandringham Estate in the afternoon of Thursday, Jan. 17. The 97-year-old was reportedly driving an SUV, which wound up on its side after the crash. Philip was said to have been "shocked and shaken" after the accident, but was physically fine, which was later confirmed when he was examined by a doctor as a precaution. The passengers of the other vehicle involved in the crash received minor injuries. As reported by Town & Country, the 28-year-old driver suffered cuts, while the passenger's wrist was broken as a result of the accident. Fortunately, however, the 9-month-old baby with them was unharmed. The two adults and child were reportedly taken to the Queen Elizabeth Hospital in King's Lynn and were released later that same day, reported People. A source told the magazine that the accident will be investigated by authorities, saying, "As is standard procedure with injury collisions, the incident will be investigated and any appropriate action taken. We are aware of the public interest in this case, however, as with any other investigation it would be inappropriate to speculate on the causes of the collision until an investigation is carried out." Emma Fairweather, the passenger who'd suffered a broken wrist in the accident, spoke to ITV's This Morning on Monday, Jan. 21 (via The Guardian), and said that, should Philip be found liable for the accident as a result of the investigation, she believes he should "absolutely" be prosecuted. Fairweather also noted that she'd felt "upset, very upset" upon seeing photos of Philip driving without a seatbelt during the afternoon of Saturday, Jan. 19 (via the Daily Mail). "It's highly insensitive, and inconsiderate towards me, and everyone involved," she added (via CBS News). In an interview with the Sunday Mirror, Fairweather claimed that Philip had told a witness that he'd been "dazzled" by the sun prior to the accident. However, she alleged that that wasn't possible since it was "overcast." She also noted at the time that she hadn't received a proper apology from Philip, though she noted, "I still love him and the Queen. No one can change my views on that." According to the Daily Mail, if found liable for the crash, Philip could face a charge of dangerous driving and potentially have to surrender his driver's license. Prince Philip has largely disappeared from the public eye since retiring from attending public events in 2017. However, he has made exceptions in order to attend events like grandson Prince Harry's wedding to Meghan Markle and granddaughter Princess Eugenie's wedding to Jack Brooksbank (via CNN).